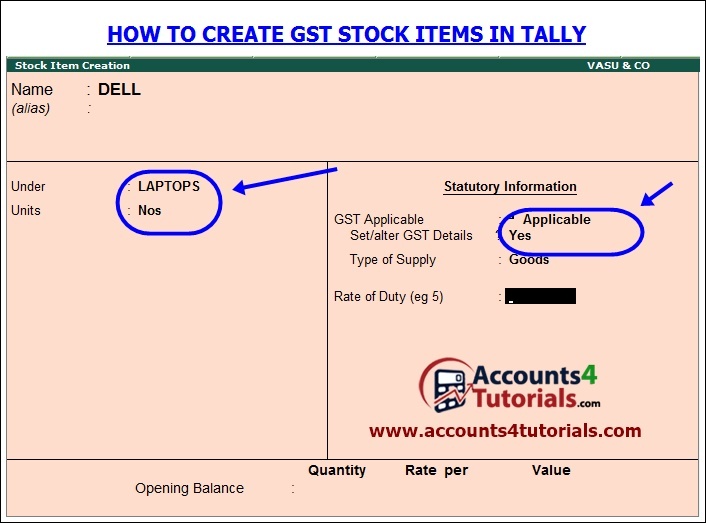 In the Stock Item Creation Window, fill the following information. Note: Group Selection is based on the type of Stock Item. 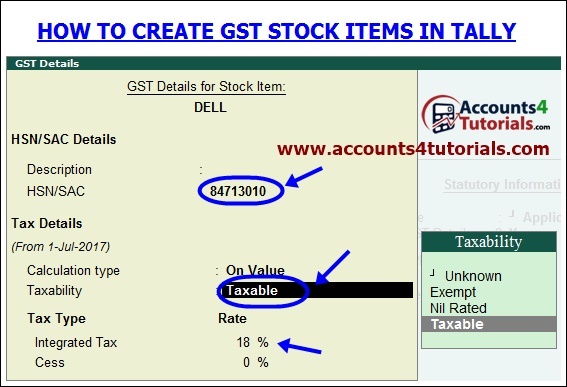 In the GST Details Window, fill the following information. 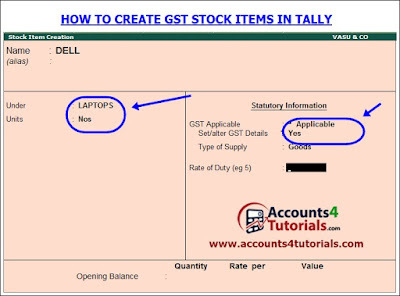 Press "Ctrl+A" to save Stock Item GST Details.